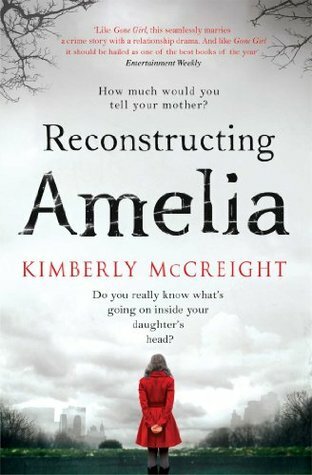 Fans of Gillian Flynn’s Gone Girl will find Reconstructing Amelia just as gripping and surprising. How it’s like to wake up one day and not have my kid around. How it is for the fog to lift and realise that I never knew him anyways. How it’s like to have the memories and the facts fight with each other, stomp on my soul and break my heart, until there is nothing else left than the need to reconstruct the past. To make sense of all the things I never knew I wanted to know, all the things I did not see, all the changes that made my kid be someone I don’t know and – even worse – someone I’ll never have a chance to know anymore. Deep in the night when there is nothing else to fear, I fear for the kid he will grow to be, the people he will surround himself with, the choices he will make because of (or in spite of) them. I want to think that he will be able to distinguish right from wrong, that he will not long for things that will only hurt him in the end, that he won’t change himself for other people… but one can never know. Oh, but how she wanted to! In a way I could relate with Kate. Alas, the way the book was written wasn’t as emotional as I wanted it to be – Kate was grieving, but her pain seemed somehow far away, muffled – but it’s the projection of this tragedy what made me care for Kate more than I could tell. And it was the mystery what made me turn page after page wanting to know what could trigger such reaction. You see, I could barely connect with most of the the characters. I feared that my heart would be shattered while reading about her mother and her earth supposedly shaking grieve, but that was not the case. Then I hope for an incredible revelation at the end, but I was left with a bittersweet taste only. I did enjoy their memories, the way they differed in perception. I did love the way Kate showed respect and trust towards her daughter. Yes, Kate was wrong to miss some details and those were the ones that weighted the most in this situation, but she tried so hard to be a good mother, more so judging by the terrible maternal influence she had in her own life. 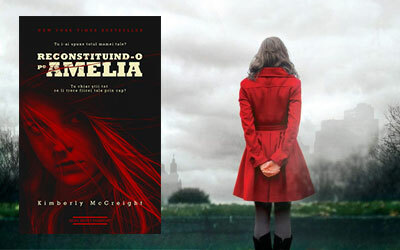 As for Amelia, I truly despised her. She was so incredibly easy to manipulate, so shallow, so – let’s just put it out there – plain stupid. I wanted to scream at her to open her eyes, to stop for a moment and just think! She was self centred, naïve; I know teens can be reckless but this was more messed up than that. Kate’s family was a complete mess. There are few characters out there, in the book worlds, that I hate as much as Kate’s mother. And her friends were weird just as well. There was this tangled mess we uncover near the ending, I didn’t like one bit how it was handled. And don’t even get me started on the Ben thingy – in a way I could understand his side, but seriously, to know so much and do nothing?! And some characters seemed extremely random in their action. Like E.’s hate towards Amelia, a thing that wasn’t explained in the least in the end. In fact she acted out of character in the last scene too. The school. If I paid a lot of cash for my kid to have high education and BE SAFE and then they acted like THAT, I would burn it all to the ground (Well, figuratively speaking. In Kate’s place I would have sued their asses and use all my contacts in the process. Wasn’t she a lawyer?). The blog posts. Why in the world did no one do a damn thing about it? So many parents and not even ONE of them involved in their kids lives? Tough some aspects were a bit far-fetched, as a parent I found the idea behind this book terrifying. If I think about it makes sense, which only adds to it. No one knows the complete me, I am not sure in high-school how much my parents could have seen behind my own “curtains”. I think it’s easy for a parent to overlook some things when work and stress get in the way of knowing your kid and spending time with her/him, right? So this CAN actually happen. I tell you, this is such a terrifying thought!